Ranveer wants to be Arjun's Better Half. He tweeted, "I will be the other half, the better half." Soon after the trailer of Arjun Kapoor and Shraddha Kapoor's starrer ‘Half Girlfriend’ was out, many celebs took to their twitter handles to congratulate them and also promote the film. But as we all know Ranveer Singh is famous for his quirky attitude. So he did something so unique and hilarious that the whole Bollywood has gone crazy. 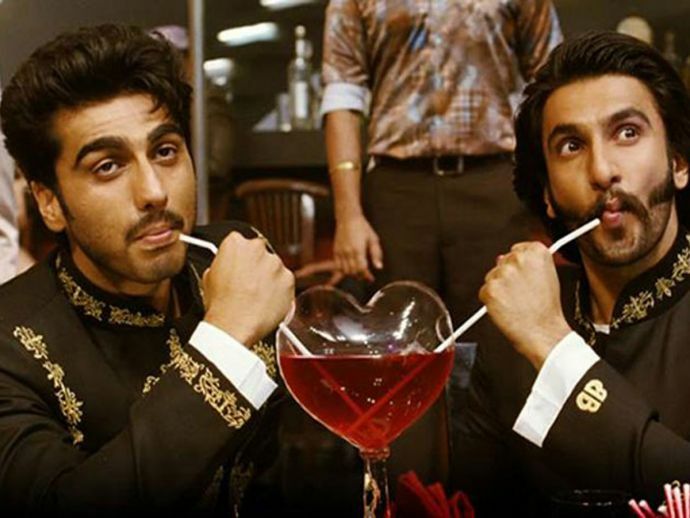 He took to his twitter handle and posted this hilarious advice to his ‘Gunday’ co-star and dear friend. And after Ranveer showed such a nice gesture to Arjun, how can Arjun stay silent? Arjun also replied to Ranveer's tweet in the most adorable way. We all are aware that the duo shares a very special friendship bond and that they also refer to each other as ‘baba’ (which is kind of weird). Directed by Mohit Suri, 'Half Girlfriend' is a romantic love story and is all set to hit the screens on May 19.